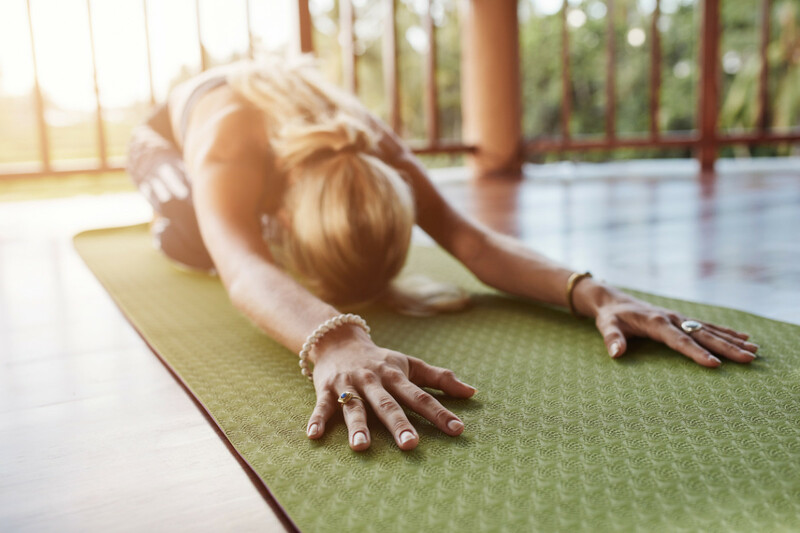 Like many people, I practice yoga for so many reasons—my mental health, fitness, focus, and sense of community—not to mention that I want to be strong and limber for years to come. The yoga lifestyle is an all encompassing way to keep your mind, body, and spirit fit as you age. Plus, it’s lower impact than sports like running. But when it comes to longevity, what forms of yoga are best and what forms can do damage in the long run? Why Is Yoga So Good For Longevity? 1. Utilizing all parts of the body. A balanced yoga practice includes movements that utilizes nearly every part of the body. 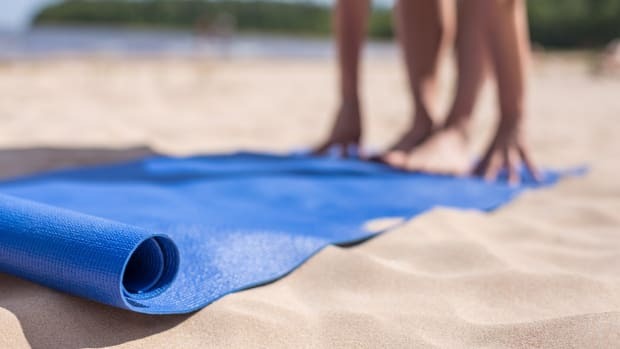 Starting with sun salutations to warm up the body and then moving onto standing poses, twists, inversions, backbends, seating poses, core work, and finally, corpse pose (final relaxation pose). As you age, the parts of the body that aren’t utilized can become tight and unable to function properly. Yoga keeps the entire vessel oiled up. Weight bearing poses such as plank, chaturunga, and downward facing dog (adho mukha śvānāsana) keep the joints in good health without putting too much strain on them. Maintaining balance can become more difficult as you age especially if you’re out of practice. Common balancing poses in yoga like eagle pose (garudasana), half moon (ardha chandrasana), and side plank (vasisthasana) help to build the focus and skill that is necessary to maintain balance and keep you agile. 4. Deep breathing for stress relief. Stress is a silent killer that takes its toll on the body in the form of free radicals that cause disease and aging. Pranyama or breath exercises commonly associated with yoga directly correlate to stress relief. 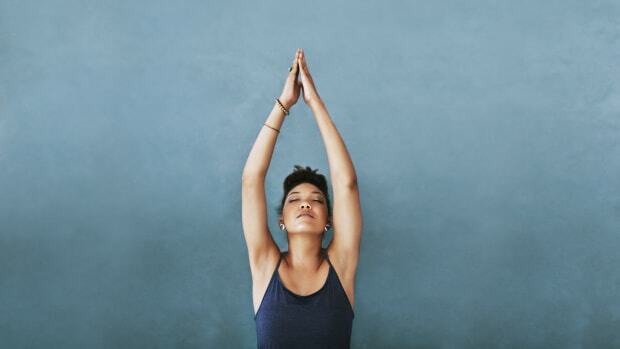 So when life becomes busy and loaded with stressful situations, yoga can help balance it out. A study published in the 2008 Annual Review of Clinical Psychology found that stress can lead to disease as we age. 5. Inversions help you face fear and stave off depression. When you were a child you turned upside with no problem. Maybe you did cartwheels or handstands. But as we age, turning upside can get scarier. But practicing inversions regularly helps us face our fears. Not to mention inversions like sirsasana (headstand) and sarvangasana (shoulder stand) alter our mental state in a positive way. According to Dr. Karen Koffler, medical director of Canyon Ranch Miami and formerly director of Integrative Medicine at Evanston Northwestern Hospital, “Inverted positions that are assumed in yoga alter the blood flow (including lymphatic drainage) and flow of cerebral spinal fluid (CSF). If there is increased blood flow to the area, there will be increased bioavailability of oxygen and glucose—the two most important metabolic substrates for the brain.” This can help with the release of chemicals like serotonin. Practice often. Whatever form of yoga that you practice should be done regularly in order to reap the benefits. Practicing yoga at least three to four times per week is best. Include Ujjayi breath. Whatever form of yoga that you practice should be tied to the breath. Most forms of yoga utilize Ujjayi breath, also known as victorious breath. Ujjayi helps you maintain focus throughout your practice, releasing tension, and sending prana or “life force” to all parts of the body. The breath is also a good tool for helping you to work toward your edge. This means that you go as deeply into poses as you can without harming the body. If you’re unable to comfortably breathe in a yoga posture, it’s a good indication that you should step back out of a pose. Utilize all aspects of the practice. Your daily practice should be balanced. As mentioned above, this means including each category of poses like sun salutations, standing poses, seat poses, twists, inversions, and backbends. Practices that are too focused on sun salutations and spend too little time on slower seated postures tend to be out of balance as are practices that don’t include any of the more vigorous poses. That said, you could also combine entire practices that focus on more vigorous poses or less vigorous poses to maintain balance. For example, practice power yoga a few days a week and balance that out with a yin yoga or restorative yoga class. Sit for meditation. 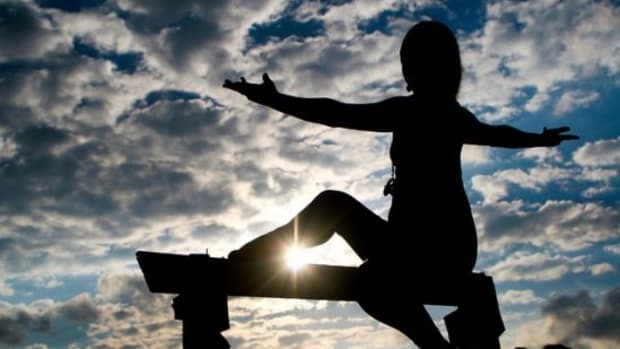 In ancient times, the purpose of yoga was to prepare the body to sit for meditation and oddly, the meditation portion of the practice is often left out of today’s classes. Add a regular meditation to your practice. Meditation is really important for aging because it can protect the brain from dementia. One study published in the January 2015 journal Frontiers of Psychology found that while the brain’s gray matter (which consists of mostly dendrites and nerve cell bodies), decreased in both meditators and the control group with age, the decline was much steeper in the control group. The brain’s dendrites are like trees in a forest and as you age, brain diseases like Alzheimer’s and dementia can start to clear cut trees. This study shows that meditation can slow this progression. Practice good form. It’s important that no matter the practice you choose, that you learn to do the poses correctly so that you don’t get injured. This is especially true of poses like chaturunga. These are the “yoga push-ups” that can injure the shoulders if they’re not done correctly over a period of time.